A licensed realtor, Wendy McCreight is steadfast in her devotion to the protection of her client's best interests. A Chicago broker with the #1 brokerage in market shares, @properties, Wendy's extensive background in real estate makes her an invaluable asset when buying or selling a home in Chicagoland. Wendy leverages a background in corporate sales and real estate investment to evaluate market trends, properly price listings from the beginning, and safeguard one of the biggest investments a person can make in their lifetime: their home. Wendy is an advocate for her clients, helping them with expertise and genuine care to make well-rounded and ultimately successful buying and selling decisions. With a comprehensive background in real estate, including real estate investment, Wendy has facilitated the acquisition of over 300 properties. Having a good eye for design was integral to her success, as was her ability to property manage and perform her very own staging, renovating, finishes selection and interior decorating. Specialiazing in home remodeling, she works closely with sellers in staging a home and getting it ready before placing it on the market. 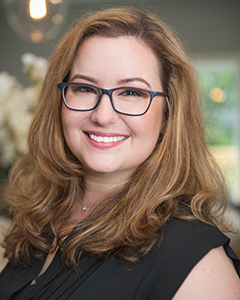 Wendy understands the delicate balance of "home" as a financial investment as well as an emotional investment-and her goal for buyers is to find the right home that considers their overall needs. Wendy has worked in sales her entire life, most recently with a Fortune 50 company, and her professionalism and stellar customer service speaks to that experience. Wendy lives with her husband in Streeterville with their Miniature Schnauzer, Zoe. She enjoys exercising, home decor, traveling and enjoying everything Chicago has to offer. 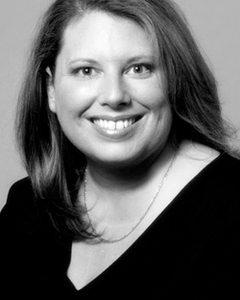 Karen graduated from the University of Kentucky with a BBA in Finance and a specialty in Real Estate. After graduating - being a native of downstate Illinois - she moved to Austin, Texas where she spent seven years as a major account manager for a communications company. There she learned the intangible secrets of excellent customer service. Soon after, Karen launched her real estate career working for one of the nations largest homebuilders; as a top producer, she gleaned knowledge from every facet of the business. She received extensive training in construction techniques, mortgage[s], blue prints, and other "behind-the-scenes" aspects of the building process. This knowledge - in tandem with her already considerable customer service skills - has allowed Karen to uniquely connect with her clients; she can clearly and objectively see all sides of the issue. Whether it is the buyer/seller, the legalities involved, or the complexities of building codes and compliance; Karen Pence is there to ease the complete process thereby enhancing the experience for her client as she ensures a positive outcome for all involved. Whether you are looking to buy your first home, sell, or move up to the home of your dreams, Karen Pence is here for all of your real estate needs. It is her personal philosophy to not just have a client for the moment, but rather to create a client for life. that having a home was not simply a possibility but a reality." important choices that the stress, worry and fear of the process just melted away." Karen grew up showing American Quarter Horses and traveling the country. Today, she lives in the heart of East Lakeview and in her spare time enjoys various outdoor activities; such as team sports like tennis or softball or adventures on Chicago's beautiful Lakefront, with her faithful companion - Baxter the Beagle. Karen remains active and connected with the city and it's people. Whether you are looking for a specific view, or selling a home, with Karen on your side, rest assured your transition is sure to be smooth. Give Karen a call today, for all your real estate needs. Lindsey’s love for living the city life began when she moved to Chicago 10 years ago. 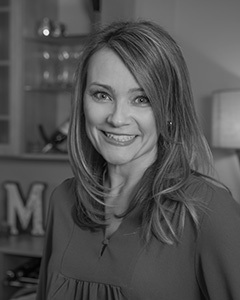 She brings her corporate sales and client relation expertise to the Karen Pence Property Group which has over 20 years of Chicago real estate experience. Lindsey believes that one of the greatest attributes that this city has to offer is the distinct neighborhoods. Which neighborhood a client chooses to live in determines the lifestyle they want to live. 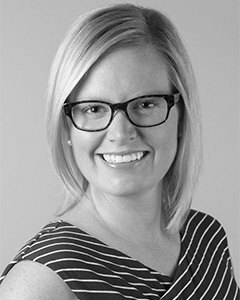 She firmly stands behind the @properties beliefs, ‘Love Where You Live’ and ‘Be Local.’ Whether you're renting or buying, new to the city or a lifelong Chicagoan, Lindsey’s primary goal is to make sure all of her efforts go in to helping clients find the best home to fit their wants and needs. After living in multiple neighborhoods in the city, Lindsey and her husband found their home in the West Loop 5 years ago. A graduate of the University of Kentucky, she loves basketball and bourbon. As an avid sport fan she'll never get sick of hearing Chelsea Dagger. 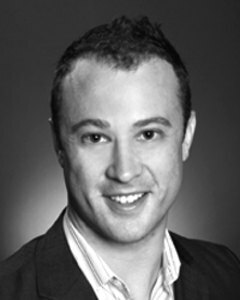 Zak Herman seamlessly combines an old school work ethic with the analytical competency and technological proficiency required of the modern real estate agent. In today's marketplace, agents need to assist buyers and sellers in gaining a competitive advantage by utilizing all available resources at their disposal. 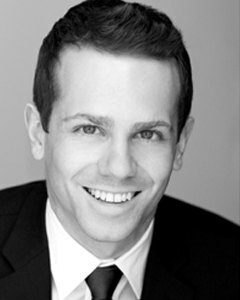 Zak strives to be on the forefront of advances in the real estate field to deliver superior results for his clients. Zak graduated from Indiana University's Kelly School of Business with concentrations in Real Estate Finance and Entrepreneurship and, prior to entering sales, worked in luxury development in the Chicagoland area. His clients benefit from a superior analytical perspective of the of the local market and ability to translate that into successful arguments when buying or selling. His background ensures he has the ability to offer a wide range of services tailored to clients' specific needs whether they be first time buyers or seasoned investors. An understanding of cutting edge marketing tools and the ability to manage their deployment over various digital mediums allows for an aggressive approach when marketing listings. Zak's use of photo, video, and interactive 3-D tours on all listings and knowledge of their benefits on numerous social media and real estate search websites allows him to use the right product on the right platform and guarantee his clients maximum exposure. Zak maintains a fully functional personal website for marketing his listings which affords him the ability to precisely target, capture, and re-market to prospective buyers with an extreme degree of control and efficacy. He combines this with systems emphasizing customer service, communication, and speed to deliver a streamlined approach to the modern buying and selling process. In 2011 he appeared on HGTV's House Hunters and has been featured in numerous Chicago Sun Times articles regarding his experience rehabbing Chicago bungalows. He currently lives in West Town and enjoys Chicago's vibrant restaurant scene and Crossfit. 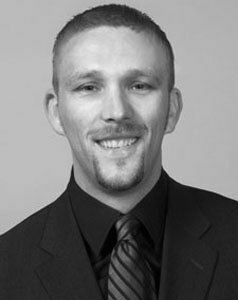 A Chicago native with over 15 years of real estate experience, Chris has the expertise that Chicagoans want in a Realtor. His extensive knowledge of real estate trends in our city allows him to offer the best solutions for his clients. Chris works with a broad clientele base, ranging from first-time buyers and sellers to investors, architects, and executives. Having an eye for design, Chris is able to help clients create tasteful spaces tailored to their specific style and personality. He works diligently to deliver the best service and results for all of his clients. Maintaining relationships with clients is important to Chris, and he strives to make sure their current and future needs are met. Chris knows what makes each Chicago Neighborhood unique and appealing for homebuyers. As a lifelong Chicagoan he still loves to take in all of the different cultural experiences that those neighborhoods have to offer, especially the food. He loves to cook and use those experiences to influence new recipes to test out for his friends. Always up for an adventure, Chris loves to travel but will always call Chicago home. Kelsey discovered her desire to become a Real Estate Broker accidentally. She graduated from the University of Illinois-Chicago with a B.S. in Kinesiology. After graduation, she decided to learn a bit about her family’s business of purchasing, rehabilitating, and selling distressed properties and subsequently discovered that she absolutely loved the business! It was then that she decided to move forward with real estate as her career focus. Her time at the University was not wasted however; being captain of the UIC Dance Team with a full class schedule, honed her ability to work with and lead a diverse group of women while successfully organizing group studies with classmates. The years Kelsey spent in the heart of the City while attending school created a passion for the Chicago lifestyle. She spends as much free time as possible in the City and when she is unable to do that, she is spending time studying Chicago real estate and logistics, hanging out with her family and two dogs, or passionately supporting her favorite team, the Chicago Blackhawks as they forge ahead to another Stanley Cup. 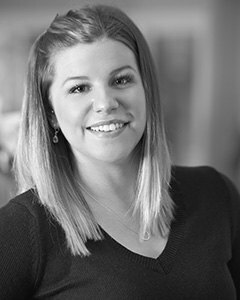 Kelsey brings her new found passion to @properties, her open-mindedness and ability to learn new things quickly will allow her to grow professionally and become an expert in her field as she is mentored by some of the finest and most respected brokers in the industry at @properties. Kelsey’s innate ability to make people feel like long-time friends will surely be an important part of what defines her character and passion and what makes her an integral member of the Karen Pence Property Group.